This is no ordinary wash. 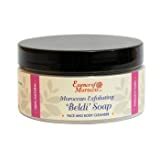 It has a large percentage of organic essential oil which, added to its Glycerine base makes it deeply cleansing without drying and wonderful for normal skin as well as all kinds of different skin conditions. 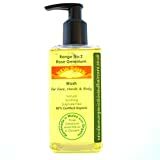 This Wash naturally hydrates while it cleanses leaving your face and body soft and glowing with health. You may find you don’t need a moisturiser but if you do try a Rich one for dry skin or a Light one for all other skin types.